I remember Sian saying she played the Google game with her food - looking for things she really really hoped existed, like chicken skin crisps for example. I do something similar, although not with things to eat. I usually settle on something very very dull, like coat hangers or paperclip holders, cross my fingers, hit search and pray someone has been more inventive than me. Today the great world of the internet has been helping me out with the world of drawing pins, or push pins, or thumb tacks. Whatever you want to call them, they're still quite boring. Until you see this little lot. Currently battling it out on for pride of place on my notice board are the big hitters Paperchase and the indie underdog, Duncan Shott. 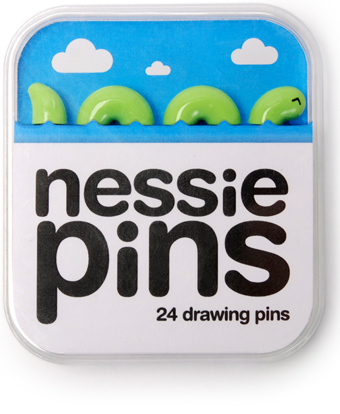 It's Duncan's Nessie pins that grace the top of the post. While they sadly aren't in manufacture (*wails*), you can buy the Real Boy pins shown above. 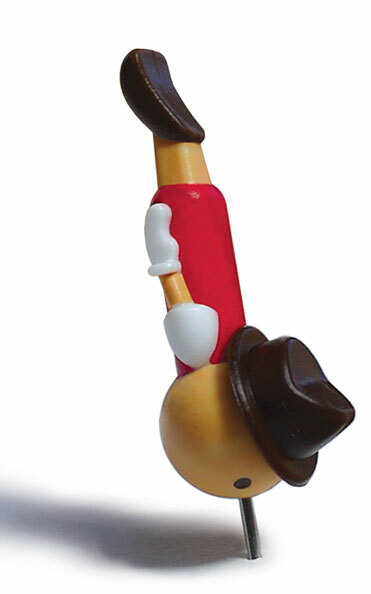 Inspired by everybody's favourite lying Disney character, Pinocchio, these are surely as designer as drawing pins can get: packs of two, limited to 1000 editions, and costing £8 a set. Paperchase, meanwhile, certainly have a number of options covered at cheaper prices, from ladybirds to ducks. 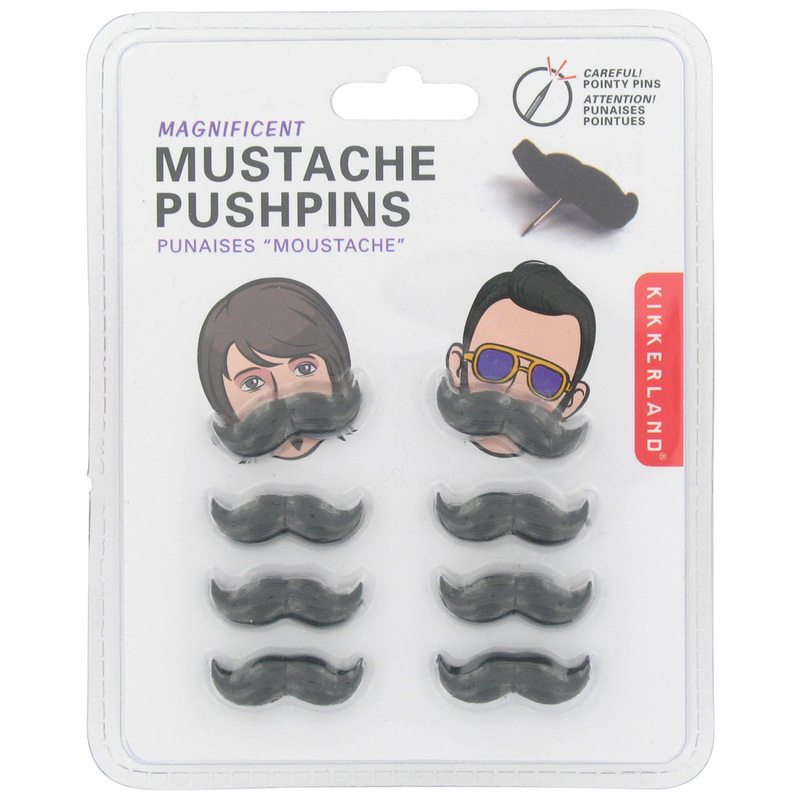 I'm also rather fond of these moustaches available for a fiver. 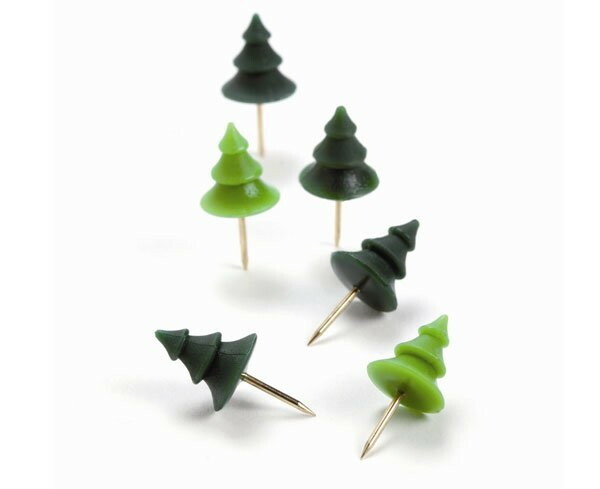 If your preferred type of fir is the tree, rather than facial, these tree pins might do the trick. They're part of something called Memo Mountain, meaning you get a mini mountain-shaped cork board too. The set is available for £8.90 from Snow Home. 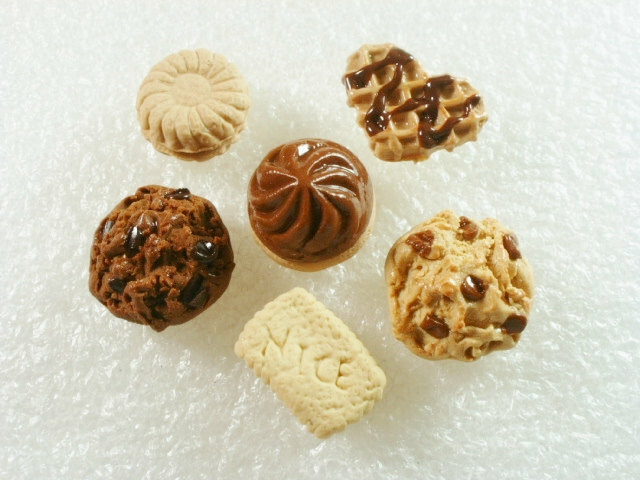 Etsy never lets me down in a search for the weird and wonderful and, true to form, behold these biscuit pins made by Torquay based-seller GiraffesKiss. £5.50 for the set, they are literally the sweetest things. Finally, how could I end but with a squirrel and accompanying acorn pins? Of course. 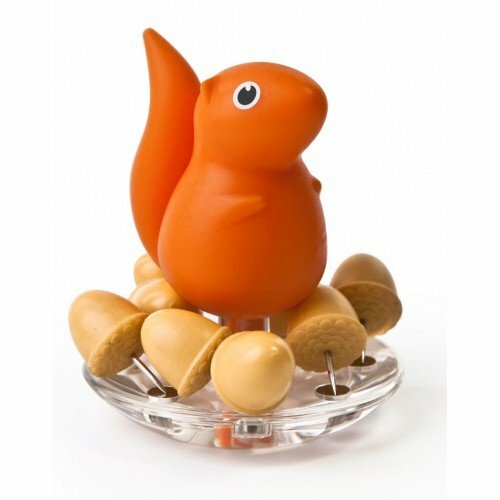 I'm not exactly sure what the squirrel does but, for only £3.95 for the set, it's hard to be too picky.